The mountain was originally named "East Dix" after John A. Dix, who was the secretary of state in 1837 for Governor William Marcy. Dix later became Governor himself and was also a US Senator, Secretary of the Treasury, and a major general in the Civil War. In June 2014, East Dix was renamed "Grace Peak" in honor of Grace Hudowalski. Hudowalski was just the 9th person to successfully summit all 46 High Peaks (thereby joining the Adirondack 46ers Club) and was the first woman to complete the feat. The name change was the result of a 12-year effort by the 46ers and other groups who were adamant that Hudowalski, a lifelong activist in the Adirondack Park, deserved a namesake. 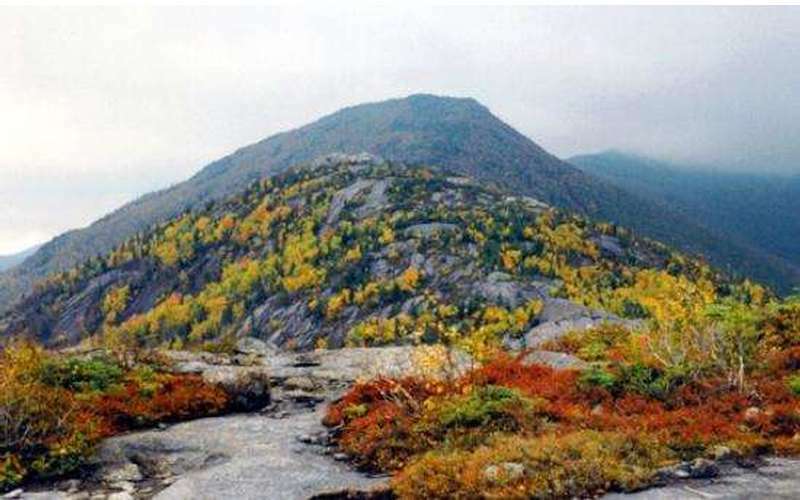 The Grace Peak trail is 12.5 miles long and will take 12 hours to hike, on average. The most popular route is from the Elk Lake Trailhead, following the trail to Slide Brook lean-to. From here, the heard path follows Slide Brook upstream to the slides of Macomb Mountain. Follow the slide to the summit of Macomb and then follow the ridge first to South Dix and then on to Grace Peak.